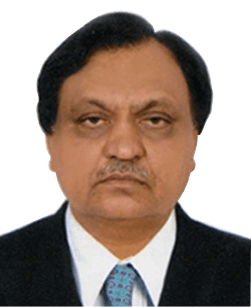 About Owner of Rama Residency "Mr. Dhirubhai Patel"
Dhirubhai Patel – Owner of Hotel Rama Residency, is basically a Civil Engineer and mainly is in the business of construction. He built a number of residential and commercial buildings in surrounding Anand. He is also involved with a business of running girls hostels from last 12 years. His experience taught him the management and hospitality. Dhirubhai believes in four ‘H’, Honesty, Hospitality, Humbleness and Homely Atmosphere. Hotel Rama Residency is built on these four pillars with the trust and confidence that “we will satisfy our customers”. Hotel Rama Residency is divided into 7 simple zones - Stay, Hangout, Meet, Work, Workout, Unwind and Explore. As travel means more hassle than harmony, more stress than satisfaction, modern travelers are looking for smarter choices. Driven by our passion for perfection, we welcome our customers to a refreshingly, enjoyable and hassle-free experience, anytime, everywhere. Offering the highest consistency in quality, service and style we set new standards and take the unwanted surprises out of traveling. Our warm welcome make our guests feel at home, away from home and our crisp and Courteous service empowers them to get more done with greater effectiveness and control. Through our unrivalled network we provide service that is effortless, simple, never overwhelming and always warm.